As the Director of Lifespan Religious Education, Jessica works with volunteers and community members to create learning opportunities for friends and members of all ages, including our Sunday morning programming for children and youth, our lifespan comprehensive sexuality education program (Our Whole Lives – OWL), and classes and workshops for adults. She also supports our family programming and social events to help connect families with each other and members and friends at UUS. Jessica first joined the staff in 2014, and has also served congregations in Fargo, North Dakota and Duluth, Minnesota. 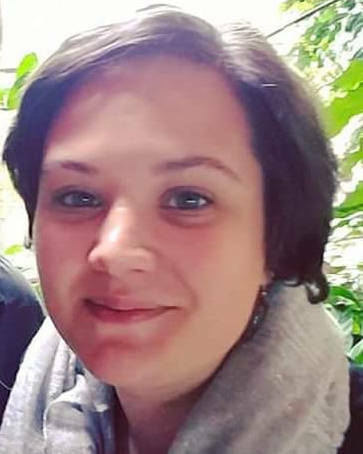 Jessica studied Natural Resources and Public Administration and Policy Analysis at the University of Wisconsin – Steven Point, and earned her degree in Social Science from the University of North Dakota. She has worked in multiple fields, including environmental laboratories and children’s library programming, and got her start in Religious Education as a parent volunteer. Jessica is originally from Wisconsin, but has lived all over the Midwest. She currently lives in Iowa City with her partner, Garrette, and their three children, two dogs, two cats and hamster. When not at UUS, Jessica volunteers in the library at her children’s school and as a naturalist. She is an avid reader; enjoys spending time outdoors – camping, kayaking, hiking and snowshoeing; fiber arts; and gardening.